Like Nursery Rhymes, there are so many possibilities of fantastical stories of giants, queens, kings, princesses, dragons and more to include in this fairy tales theme! 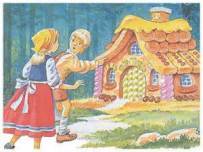 There should be plenty to get you started on a great week of Fairy Tales fun! This Fairy Tales Activity Theme page is filled with preschool activities and ideas for all areas of your classroom. You do not have to focus on just ONE of the fairy tales each day! 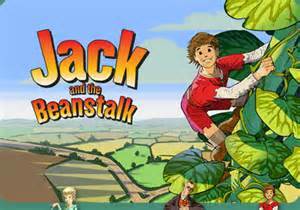 You might have Snow White being acted out in dramatic play while other children are building a bridge for the Three Billy Goats Gruff in the block area and still other children are planting beanstalks to help Jack in your science center! Have fun! Mix and Match! That is the beauty of Fairy Tales! Let the Fairy Tales Theme planning begin! 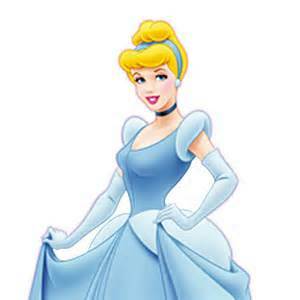 You can either scroll down through this page to see each of the Fairy Tales or click each link below to go to the specific Fairy Tale that you want! 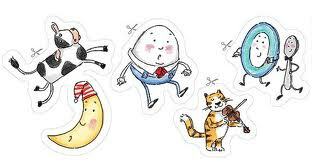 Looking for a NURSERY RHYMES ACTIVITIES THEME? Click here or the picture to the left to go to the Theme Page. Here is one activity that may go along with many of your themes! I saw this posted on someone's page. Patricia M (a teacher who visits our site here) has tried this and says it lasts up to 24 hours! Add cotton balls and straws to your block area. The children can build a farm for their sheep or sheep pens with blocks and then use the straws to blow their cotton ball sheep around their farm! Provide a "glass" dress up shoe for the children to try on while acting out the story! Any shoe with a pump will do. Add princess dresses and older "clean the cinders" type clothing as well as a boys' or men's vest and a crown for the Prince! Add a box to be decorated as a pumpkin-coach. Thank you Charmaine Nick from Crestview, Florida for this idea! Punch hole in rice cake, tie yarn through hole. Cover rice cake with peanut butter and sprinkle with bird seed. Make some gingerbread from a mix (or your own recipe if you have a favorite one!). Serve warm with some milk! Provide sturdy tagboard or cardboard for paper; glue; variety of beans. How tall will they make their beanstalk?! In each bowl from the sorting activity above, tape a number inside. The children then sort that many beans into the bowls. Bring a basket (picnic basket!) to circle time filled with different types of play food. Cover the basket with a blanket. Have children, one at a time, reach into the basket to feel a piece of food to see if they can guess what Little Red brought to her Grandma! In advance, cut eye holes into white paper plates. Provide paint and brushes for the children to create their own crazy-faced troll mask! When dry, attach a large craft stick to the back. Provide farm animals to the block area. They can act out the story by making bridges and use goats. 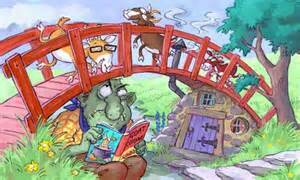 The goats may help the other animals get across the bridge! Provide blocks for the bridge and encourage the children to act out the story. Practice getting across a bridge in different ways. Use a jumprope or a balance beam--or blocks, paper, whatever you like! to represent a bridge. Step over it walking backwards. Ask them for ideas on how to get across the bridge! Provide a variety of colors of playdough, sculpting tools (plastic knives, toothpicks) and have the children make their own silly troll! Provide 3 (1 small, 1 medium and 1 large) of several different items for the children to sort. Such as a small crayon, medium and large; small block a medium block a large block, etc. Add small blocks, spray water bottles and goats to your sand table for some fun bridge building! Children decide which mask they want to make-a pig or a wolf- and paint the paper plate. When dry, glue on googly eyes and stick on back! EXTENSION: Be sure to make 3 pig and 1 wolf mask yourself and place them in the dramatic play area! Make houses using small milk cartons! Make piggy banks from a 2 liter bottle. Use felt for ears and nose, buttons for eyes, pipe cleaner for tail, and corks for feet. Serve mini-pretzel sticks for snack and make Little Pigs Houses! Thank you Charmaine Nick from Crestview, Florida for this snack idea! Use Graham Crackers for the brick house, Pretzel sticks for the Stick House and Shredded Wheat Squares for the Straw/Hay House! You can have pigs in a blanket or oatmeal (porridge) for snacks. Place pig and wolf masks in your dramatic play area. Add a few boxes for houses OR simply section off 3 areas with chairs or blocks for each house! In separate bowls, provide toothpicks, straw (from a craft store) or actual precut straws of different lengths and precut red triangles. Provide many pieces of construction paper for the children to use the materials to make a house of straw, stick and brick! EXTENSION: Pre draw houses for the children to work on their eye-hand coordination. EXTENSION: Provide glue for the children to glue onto the lines of each house and stick the items on for artwork houses. I don't remember where I found this song, but I love it! Sung to "Three Blind Mice"
The wolf came by, and he huffed and puffed. For the three little pigs! Provide straw from an art and craft store as well as actual drinking straws of different colors and scissors. The children will enjoy cutting these items. When everything is cut up, provide spoons and cups for measuring as well as little pig and a wolf toy to go along with the story! Make Snow White apple prints on paper after reading the story to your children. The children dip the apples into the paint and then onto the paper like stamps. It may be easier for your children to use the apples (they get slippery!) by inserting a craft stick or fork into each apple. I hope you've enjoyed gathering ideas for your Fairy Tales theme! If you have other ideas, I hope you'll consider filling out the submission form above to add to this Fairy Tales page! Go to the Castles Dragons Kings and Queens Page for more ideas!